There’s another Hearthstone rival marching onto the scene, from a big-name franchise with an already well-established pedigree in competitive gaming: Dota 2. Dota 2 is Valve’s MOBA (multiplayer online battle arena) game which involves teams of players who level Up characters and attempt to trash the other side’s base while defending their own, and it’s set to make the transition to a collectible card game. Artifact was announced over at the International Dota 2 Championships, but unfortunately not much in the way of details have been spilled at the moment. We did get some info though, and apart from the obvious fact that this game will incorporate characters and content from Dota 2 (just as Hearthstone does with World of Warcraft), it will seemingly be taking quite a different tack in terms of the actual gameplay mechanics. Artifact will apparently use ‘lanes’ as seen in Dota 2 – paths which monsters wander down, and players must fight their way through – and you’ll be able to build structures like barracks which spawn said monsters (or creeps as they’re known). So it sounds like the game could contain an element of base building, and mirror Valve’s MOBA quite closely in some respects, which makes sense in terms of differentiating itself from Hearthstone. And of course the other Hearthstone rivals of which there are plenty, including titles based on major gaming franchises such as The Witcher, Elder Scrolls and Fable. Hearthstone proved quite a money-spinning breakthrough for Blizzard, so it’s no surprise that there isn’t a shortage of games trying to get in on the collectible card action. 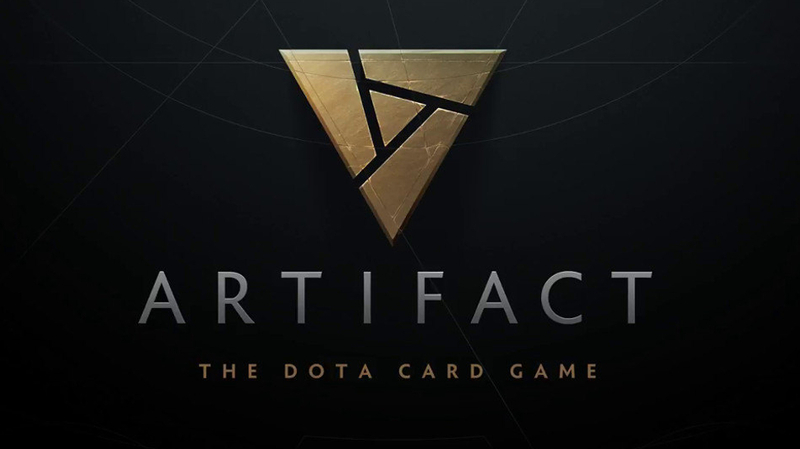 Artifact: The Dota Card Game is supposedly set for a 2018 launch, although given how thin on the ground info about the game is right now, we’d take that with a small pinch of salt. Of course, Blizzard produced its own MOBA back in 2015: Heroes of the Storm. Defense of the Ancients (which is what Dota stands for) was the original battle arena released as a mod for Warcraft III way back in 2003.